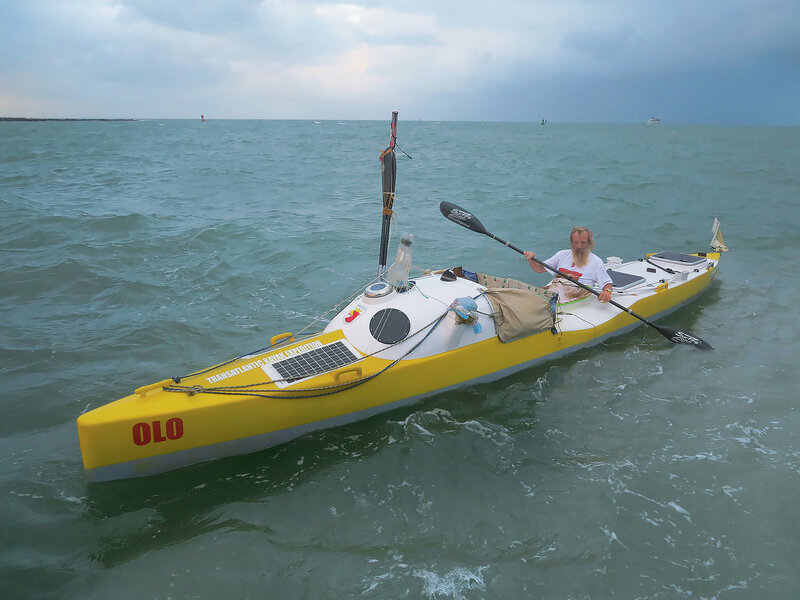 ALEKSANDER DOBA IN THE ATLANTIC BEFORE ARRIVING IN FLORIDA IN APRIL 2014. CONSECUTIVE DAYS AT SEA IN 2017: 110. BOTTLES OF SUNSCREEN TAKEN ON ONE TRIP: 7. LITERS OF HOMEMADE WINE: 3. MOST POUNDS LOST ON A TRIP: 45. 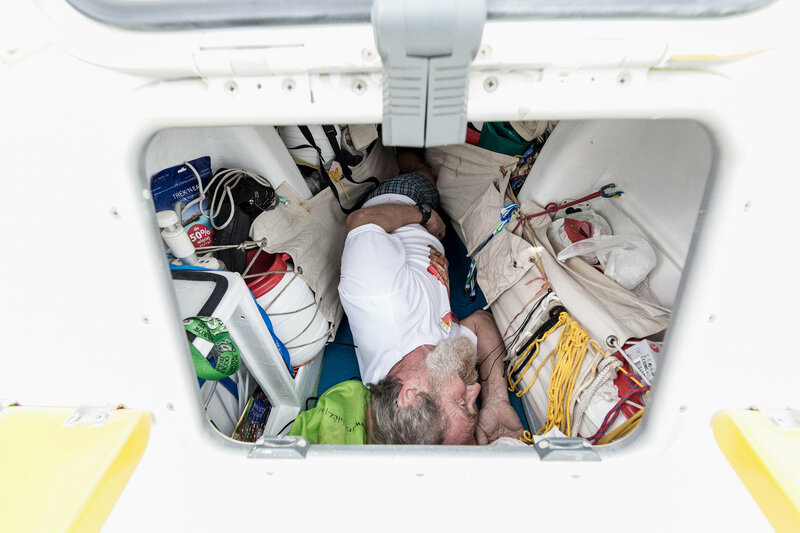 DOBA IN LISBON IN OCTOBER 2013, DEMONSTRATING HOW HE WOULD LIVE ABOARD HIS KAYAK.